Microsoft’s Windows Media Center never really enjoyed prime time because the user base was always too small. So small in fact, that the Microsoft decided it wasn’t worth continuing with in Windows 10. However, back in May, instead of letting whatever small number of users Media Center had hung in limbo, Microsoft promised that they’ll offer some sort of alternative that users can employ. That alternative has now been unveiled with the launch of Windows 10, in the form of Windows DVD Player app. What’s interesting is that the entire Media Center is now just a DVD player app, but it isn’t really surprising. The small minority that actually used Media Center was using it just for DVD playback instead of its TV and other features, and so, Microsoft is addressing the usage issue instead of offering a full-blown program. So, how will you get this coveted Windows DVD Player app? Well, if you are upgrading to Windows 10 from Windows 7 Home Premium, Professional or Ultimate, or if your installation of Windows 8/8.1 had the Media Center Pack or Pro Pack installed, the new app will be a part of your Windows 10 upgrade by default. Just check for updates in after you’re done upgrading, and the DVD Player app will be right there. There’s a big condition to this convenience, however. If you’re doing a clean Windows 10 installation, you won’t be getting this app. That’s because the system determines your eligibility for the free DVD Player app based on your prior Windows setup, which, naturally, cannot be established in case of a fresh install. Hence, if you are one of those few that really wanted the Media Center alternative, make sure you’re upgrading and not doing a clean install. For those rare cases where you want both the Windows DVD Player and a fresh install, you will have the option to purchase the new app from the Windows Store later in the year. Exactly when and for how much? Microsoft hasn’t said yet, but it will not be free, that’s for sure. what a crock of sh1t! 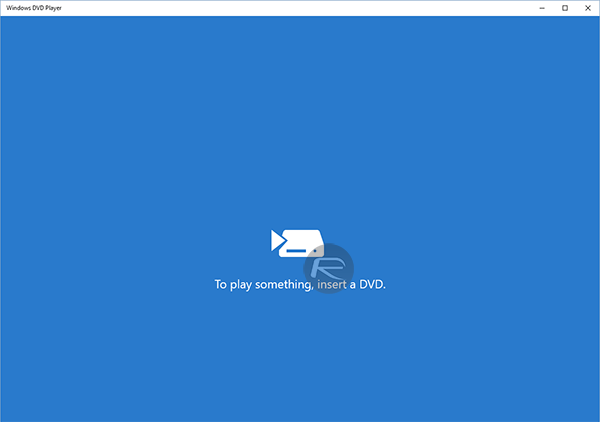 as if anyone who was using Windows Media Centre would be happy with just an app that plays DVD’s. Who the hell still uses DVD’s anyway! Media Center was and still is the best centralised media app on the market. No other app can do as much as MCE can. Such a shame it’s been abandoned. MCE is going to be missed! Plex is a more than worthy replacement … I moved on to it a few years ago and haven’t looked back. It handles all of the formats in my library, great search capabilities, can easily ID and tag TV shows. I t completely replaces MCE + MyMovies which I had used for many years. It doesn’t (AFAIK) record live TV, but I never used MCE for that. “Watch Live TV” only works if you have a supported tuner, and most third party vendors have apps that support their devices anyway…. and XBMC/Kodi does all the rest. Why don’t I get the DVD App? I totally agree with you on this buddy. Easy Setup and also watching Live TV is awesome on WMC. All the other MCs out there give tough time to set up a TV signal and it’s crap (yeah I’m looking at you Kodi for not supporting TV Setup Out of the Box)! The Best Part is that I could use my Pixelview Play TV remote with WMC (as other Tuners/MCE Remotes are kinda expensive & not available in my region). Now I have to use a wireless touch-pad keyboard. Damn you Microsoft!!!! It’s the best what i like about W7. I’m just gonna test W10 and if I don’t think it’s worth it, then i am gonna rollback to W7. Sticking With Windows 7 on my media server. It’s the only way to support a Digital Subscription tuner card which is recording DMA encrypted video. And it is the last OS that allowed for Media Extenders for WMC. media Extender, you are forced to stay with Windows 7.